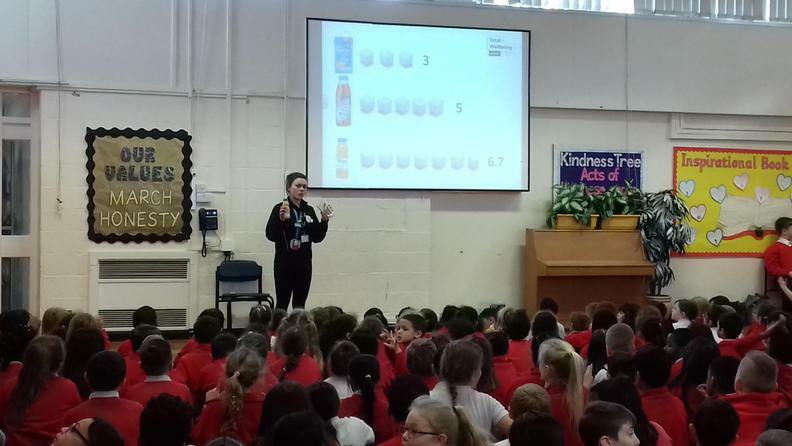 A team from Luton Total Wellbeing came into school this afternoon to show children just how much sugar there really is in some of their favourite drinks. Did you know that there is the equivalent of seven cubes of sugar in one small bottle of Tropicana? 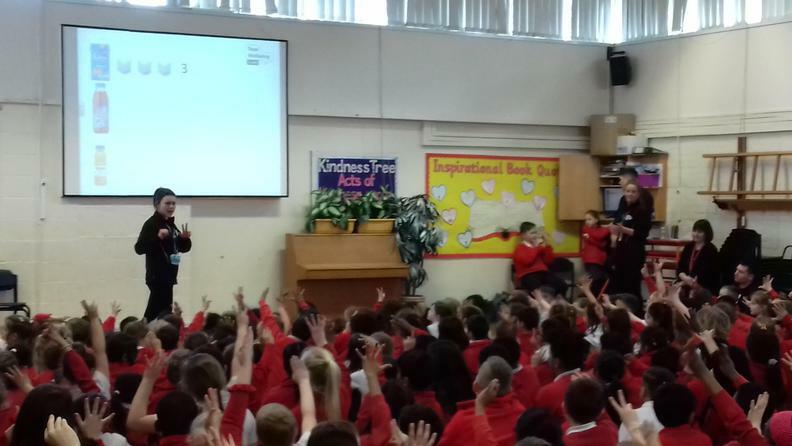 We'll be sharing more information next week about the family learning sessions that Total Wellbeing will be running in school during the summer term.